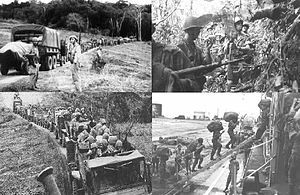 ^ Mozambique: Frelimo and the War of Liberation, 1962-1975 互联网档案馆的存檔，存档日期2015-03-24. ^ University of Michigan. Southern Africa: The Escalation of a Conflict, 1976. Page 99.